Need something about 16"x16"x16", maybe even 20" all around would be good for a little extra space. Hard to find something like that without making it custom. Haven't found much out there bigger than 14 x 14 x 14 without having to get something custom built. I have gotten a few things from this site... Maybe they have something that will work. 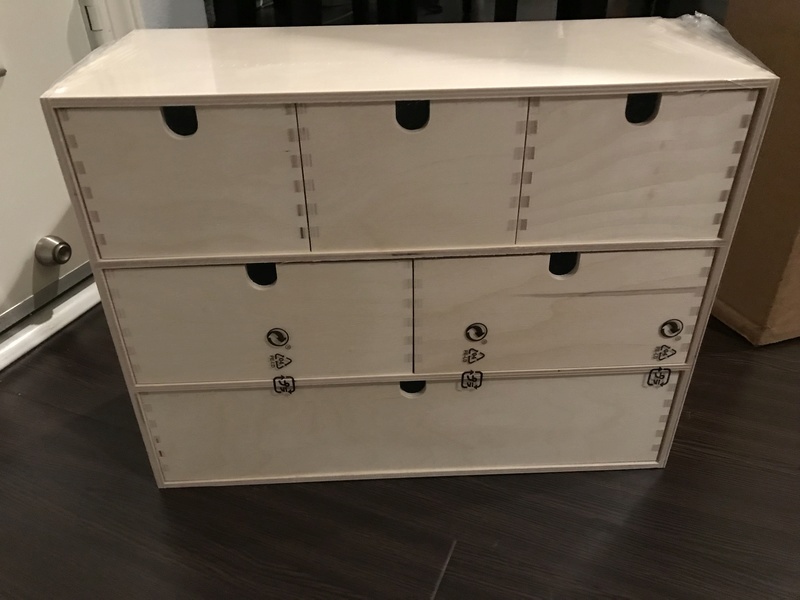 Sorry for the late addition,but I found some that work perfectly well for regularly sized squadts at the Container Store in Chicago.I think they are a national chain,but if they don't have them online feel free to message me and I would be glad to see if they still carry them at my local store.They are very straightforward 2 piece sets that fit together to form a nice rectangular box with no odd colored edges or seams.I would also like to get some of the badass display cabinets they sell at Ikea for my whole collection when I eventually move.I think for the money they are totally worth it.Just depends on everybody's individual space restrictions/requirements.Hopefully when I move I will have enough room for 2-3 of those.That should house almost everything I have. Thanks Looch and welcome to CAD! I've seen those container store cases you mentioned, they're pretty nice. 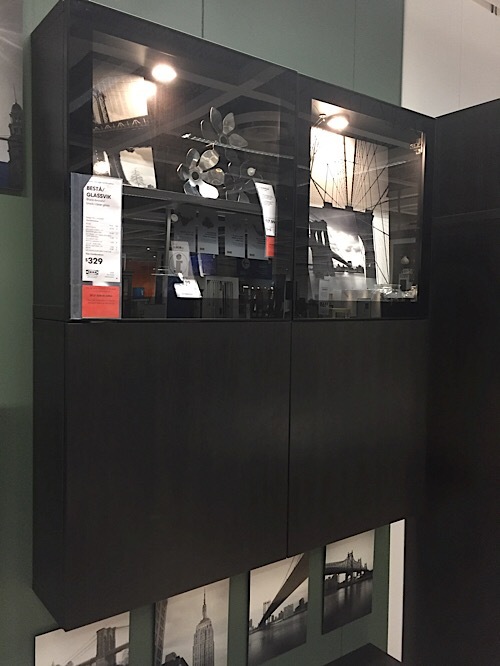 Found this cool small cabinet at Ikea to store my Squadt stuff. Also found the cool dome displays. 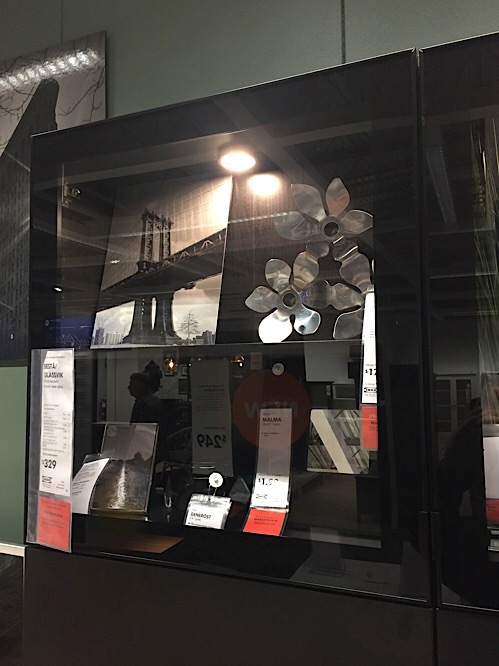 I just saw an awesome display at ikea the other day. Going back tomorrow so I'll get a good pic. They have led light boxes now too that look a lot like the one in your first post. Were you able to snap a pic DL? So it's just a besta frame, but it's the glass doors that really make it pop. You can have a freestanding unit if you get the deeper frame, but this shallow frame mounted on the wall just looked so nice. The depth is perfect for a squadt display. Planning on doing this soon but leaving out the two bottom pieces. Ooh that is nice. I didn't browse the entire store on my recent visit so I didn't come across that. Oh hell yes. Cannot wait to see it all tooled up. Fred, which dome sizes do you use for your Squadts? Thinking of picking some up. InebriatedGnome wrote: Oh hell yes. Cannot wait to see it all tooled up. 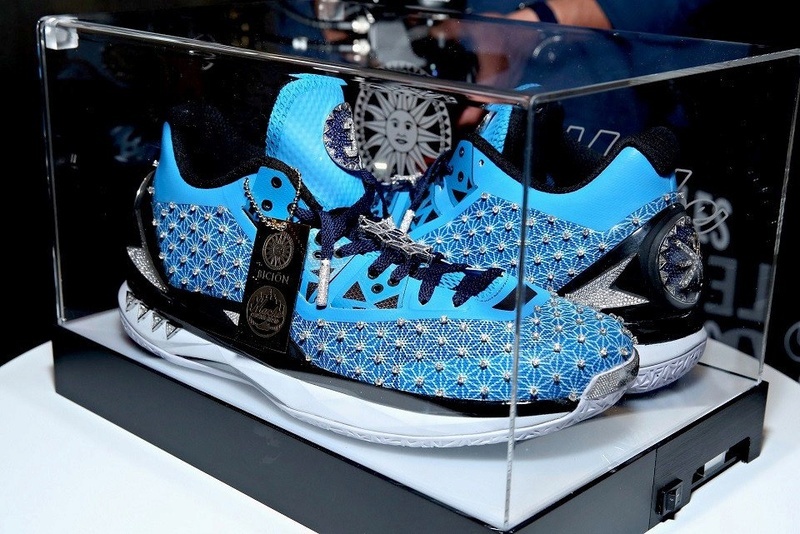 Super nice; next time I get a custom I'll grab one of those. 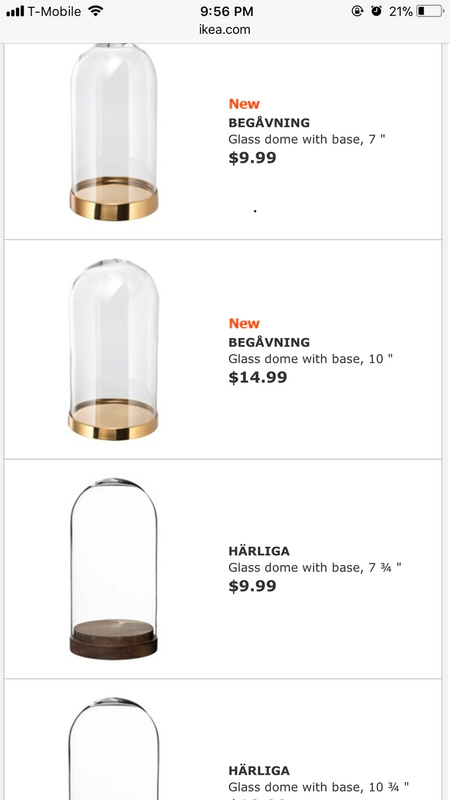 The dome I got for my F+ piece was like $50, but I had to get a wider one than any IKEA offers because the staff and companion piece take up more space than your average Squadt. Glad there are cheaper options out there. Yeah I just saw those. A wilkowski setup would look pretty nice in there. I can ship it to ya! You still in Vegas? 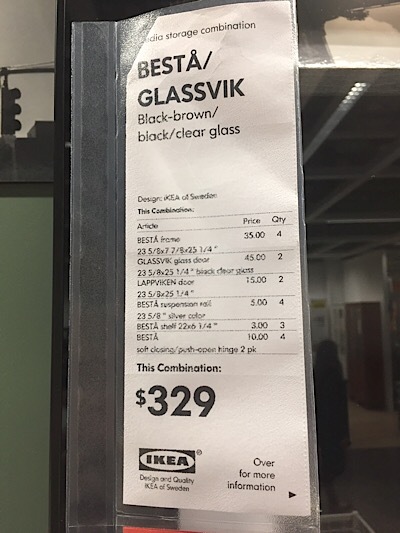 I really like those Ikea Besta displays. I might go this route. the brass base ones are in stock in vancouver, but not the wood ones. when are you heading back to ikea? maybe ill get you to ship them up here.